Only a few days until Round 1 of the AMA Mississippi Championship Series at Golden Pine Raceway. 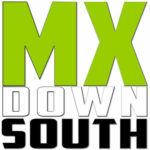 Visit http://www.mississippimx.com or http://www.goldenpineraceway.com for more info. Should be a great weekend of racing!